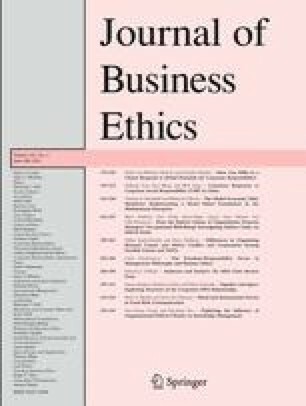 This article pursues the question whether and inasmuch theories of corporate responsibility are dependent on conceptions of managerial freedom. I argue that neglect of the idea of freedom in economic theory has led to an inadequate conceptualization of the ethical responsibilities of corporations within management theory. In a critical review of the history of economic ideas, I investigate why and how the idea of freedom was gradually removed from the canon of economics. This reconstruction aims at a deconstruction of certain axioms of neoclassical economics that hamper contemporary efforts in integrating ethics firmly into management education. I intend to show by these deconstructive endeavors that a constructive use of the idea of responsible freedom could correct and complement the current quantitative focus in business theory through qualitative orientations. I argue that with the help of qualitative success criteria, the strategic integration of the tenets of both business ethics and Corporate Social Responsibility into business practice can be advanced by further research. BCG (The Boston Consulting Group): 2009, The Business of Sustainability. Imperatives, Advantages, and Actions. Published Online in Cooperation with the MIT Sloan Management Review, at http://sloanreview.mit.edu/special-report/the-business-of-sustainability/.